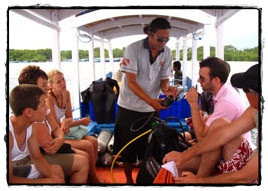 Nemo Divers Bali our motto and family safety is priority number one, all the dive staff trained rescue diving, Emergency First Responder (First Aid & CPR) and trained as a rescue diver diving segment of preparation and safety as well as to foster and train you to be able to read the conditions of each dive site and give consideration before carrying out preparatory diving diving as safe and comfortable. Air Quality We fill the cylinder / tube ourselves available 2 units Bauer Compressor in our facilities so that you can dive with confidence knowing that you are breathing the air is the best quality, pumped by the compressor is well maintained and has a replaceable filter according to the recommended duration of use of Bauer compressor, In Bali, we have the medical service of international standard (BIMC and Singaraja Hospital) and 24-hour service recompression chamber. 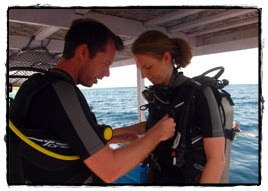 Insurance A Scuba Duba Doo fully insured with an insurance company that is recognized PADI Asia Pacific Australia, (participants courses and divers), will automatically be insured through us. Travellers Security General All our guests are advised to have adequate personal insurance, ideally covering the legal, medical and theft or loss.